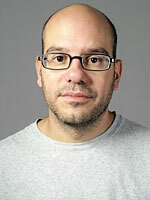 David Cross is a stand-up comedian turned actor. He has starred in various TV series, but is best known for 'Mr. Show' and 'Arrested Development'. Cross has appeared in comedies such as The Grand and Alvin and the Chipmunks. He also provides his voice for many animated films.